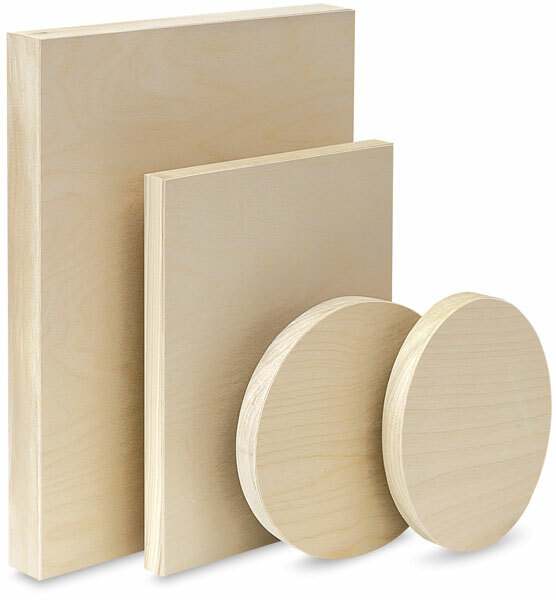 These wood painting panels are manufactured in the USA from top-quality birch, sanded to render a smooth, firm surface. Cradled with a poplar wood frame, panels won't flex, stretch, or warp. Flat, Deep cradle, Extra Deep cradle, Oval, or Round.